The Natural Dissolution of Fleeting-Improvised-Men: The Last Letter of H. P. Lovecraft is out now from CCM. "Gabriel Blackwell is a madman. He channels the eldritch paranoia of H.P. Lovecraft so well that this book practically shudders in your fingers. Come to read the 'last letter' of the Master from Providence, Rhode Island but stay for an introduction to Gabriel Blackwell, a master in the making. The Natural Dissolution of Fleeting-Improvised-Men is literary gamesmanship of the highest order and a damn good companion in the darkest hours of the night." "It's difficult to know if Blackwell is a sharp editor, a stone-faced ventriloquist, someone possessed by the ghost of Lovecraft, or all three. 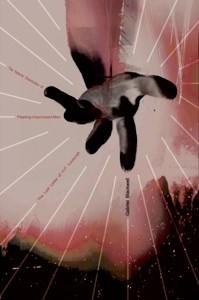 The Natural Dissolution of Fleeting-Improvised-Men is a startling investigation of the evanescence of the self. It's not so much that it will leave you changed as that it will leave you nameless and wandering." "The Natural Dissolution of Fleeting-Improvised-Men is fiendishly clever, endlessly byzantine, and brilliantly tongue-in-cheek-in-cheek. 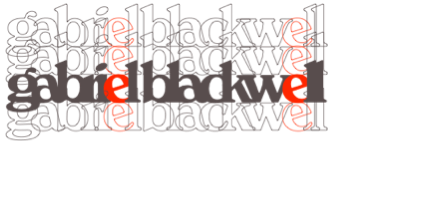 In this book, Blackwell has essentially invented a new genre, the inverted quest: having started at the Holy Grail, the seeker works his way backward into mental and spiritual derailment. Gabriel Blackwell tips his hat not only to Lovecraft, but also to Thomas Bernhard, Samuel Beckett, David Foster Wallace, and anyone who's ever explored the dark horrors (and humor) in the suffocating inferno of the self's banalities."